This performance is about the materialization of the performer’s thoughts and feelings on the stage. A large projected image, with surround sound, creates an immersive space. The image and sound projected in the space interact with the performer through an EEG (electroencephalogram) interface, which measures the performer’s brain activity. These values are transmitted to a computer, which creates new sounds and images from the brain’s data. 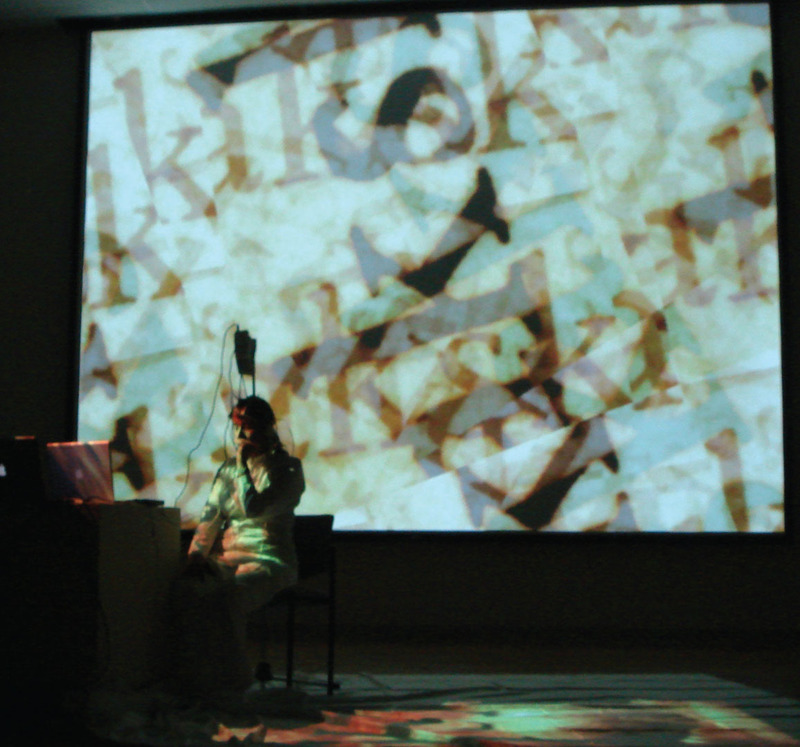 This project was realized through a fellowship (artist in residency) at the Kunst und Medienwissenschaften Department of the Kunsthochschule für Medien Köln.